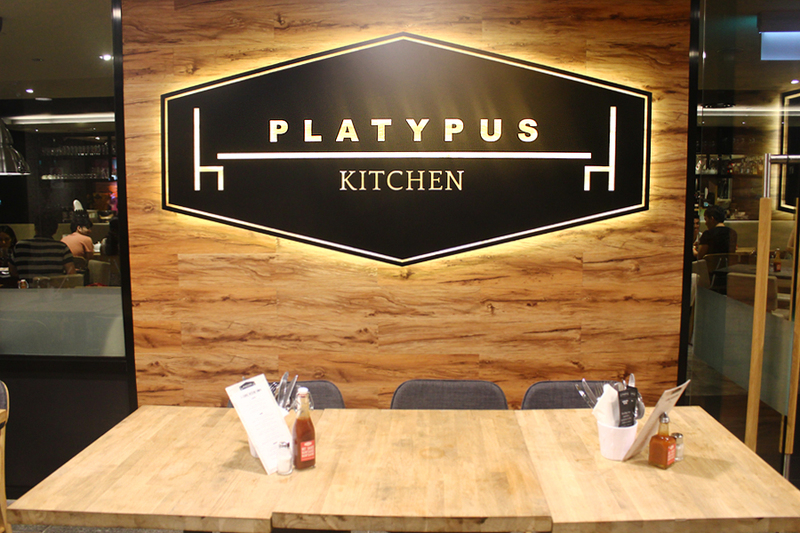 Platypus Kitchen has been on my to-visit list since their opening in 2012, but for unknown reasons (perhaps due to being a broke uni student) I didn't visit them. 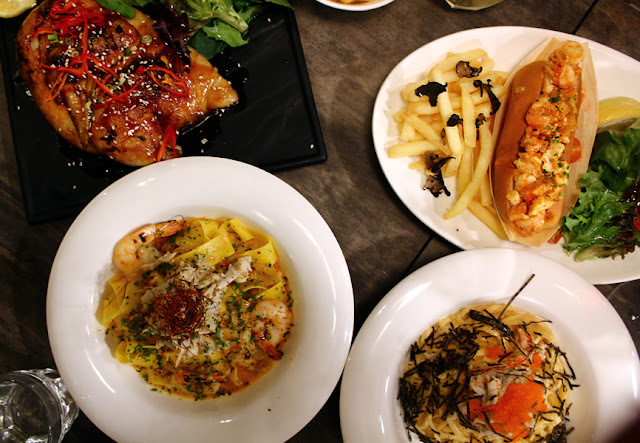 While eateries selling western cuisine is aplenty, Platypus Kitchen distinguishes itself with its array of handmade pastas (apparently the largest selection in Singapore) and creative gourmet creations at reasonable prices. Besides Platypus Kitchen, the Platypus restaurant group owns several other eateries, which also focuses on modern cuisine with Mediterranean and Italian influences. 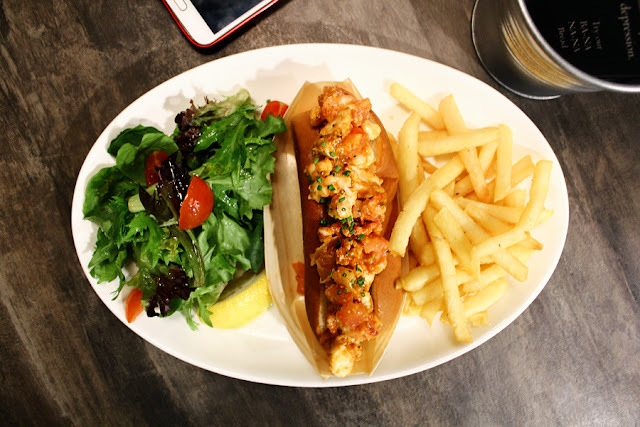 One of their star dishes is no doubt their highly acclaimed Lobster Roll (S$26.90) from their sister company, Platypus Lobster Shack. This baby consists of lightly toasted brioche filled with approximately 100g of butter-poached Boston lobster, roasted garlic-mayo and chives. Personally, I love how the dressing complements the sweetness of the lobster meat. 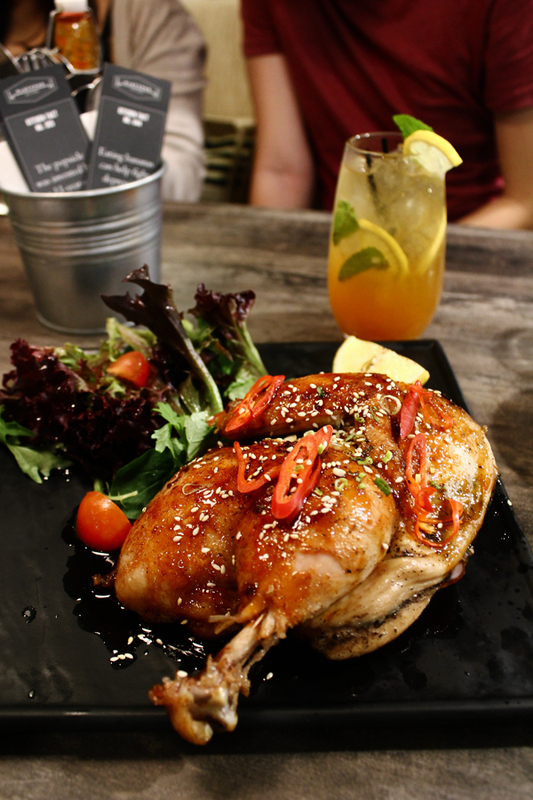 This dish is completed with a side salad and french fries (upgrade to truffle fries for S$1.90). Bread this expensive? You better savour the last bit of it, because one is definitely not enough. 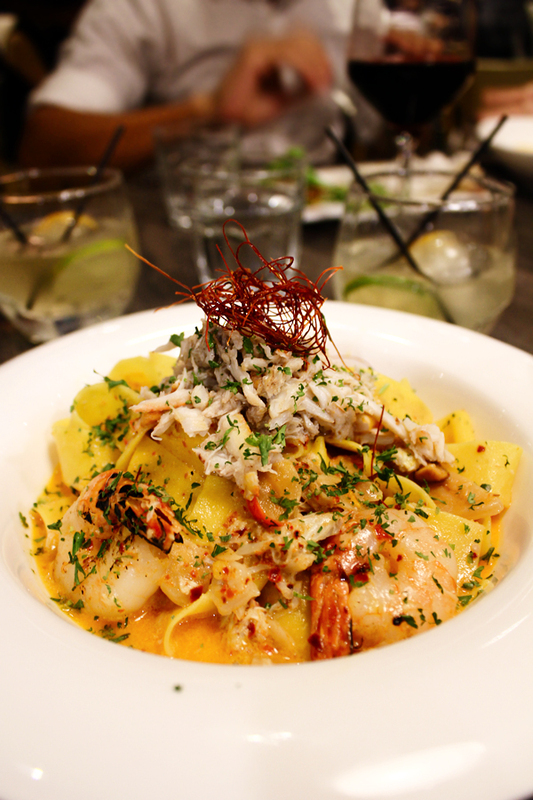 Spicy Diablo Crab & Prawn (S$19.90) is a good mix of grilled prawns, crab meat and spicy egg creme. Too bad, the crab meat was mushy (perhaps it was frozen or canned). For people who do not take spicy food, don't worry because diablo means nothing at all. Even my downstairs mee-pok is spicier than this. Anyway, this dish is served with taglioni originally, it was not available so we chose pappardelle instead. 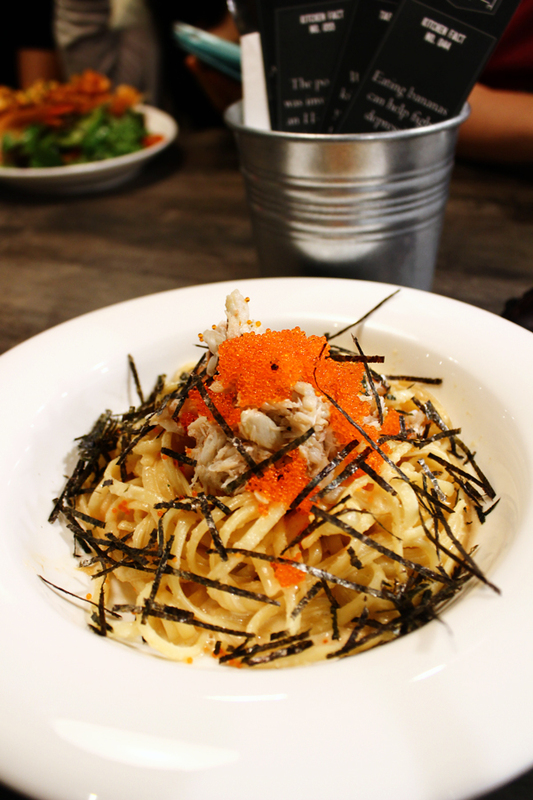 We prefer the Crab and Tobiko Bucatini (S$19.90) over the prior. This dish consists of Japanese tobiko (flying fish roe), shredded nori (seaweed) and crab meat. Although the crab meat had similar issues with the prior dish, I absolutely love pastas with tobiko. The crunch and subtle flavour they add was irresistibly awesome. Again, bucatini was unavailable, so we had to switch to linguine instead. I supposed the chefs hand-make a limited amount every day so it is not always available (depending on your luck). If you're a meat-lover, go for their signature cast-iron grilled chicken, which comes in different flavours, such as Honey Cilantro Butter or the classic Italian Rosemary. Or if you prefer something more Asian like limbeh, I would suggest the Korean Spicy Sesame - tender, succulent 1/2 chicken coated and grilled in a brilliant concoction of toasted sesame, brown sugar, Korean hot sauce and spring onions. 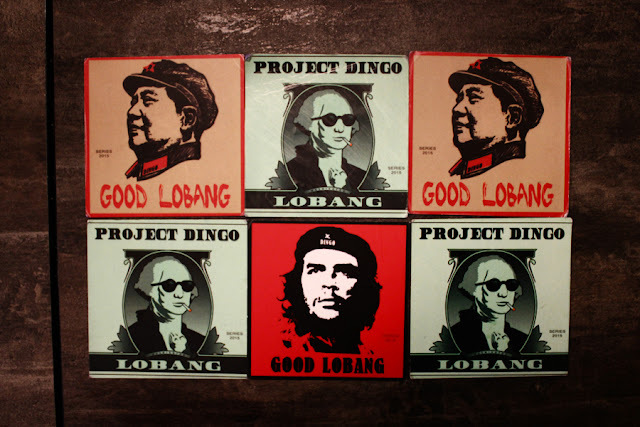 Don't miss out the happy hour (before 8pm), whereby you can their good lobang (deal) - first drink at S$6! Simply exchange these cards (above) when ordering. We highly recommend Secret Soju Agent (Korean Soju, Cointreau, passion fruit nectar, passion fruit, citrus) and Yellow Fever (Agave tequila, mango nectar, dairy, orange, Japanese shiso, grapefruit bitters). 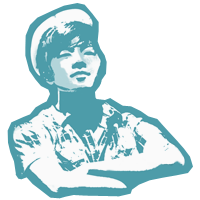 Although Platypus Kitchen has a good number of seats, tables tend to fill up fast during weekends, so a reservation is always good to avoid excessive waiting. The decorations are modern-contemporary and dimly lit, which makes it a perfect spot for gathering and dates. 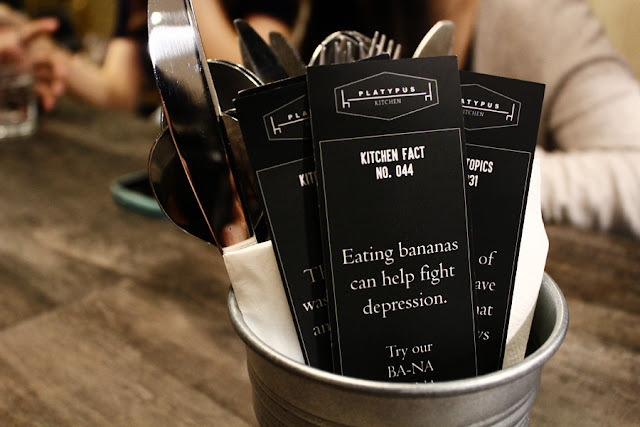 All in all, Platypus Kitchen is definitely some place I will visit again for their other offerings.